Choosing an online marketing agency – what they should know and what you should know. Choosing and online marketing agency is sometimes difficult due to the number of areas which online marketing will cover, there are agencies which will provide certain services and not others and some will cover all services but necessarily do them well. It is generally easier to select a company that can do it all because this gives you the ability hold that company solely responsible for the performance of the campaign. If you have one company doing the website build and another doing the website SEO, another doing the PPC and another doing the email campaigns sometimes there is a lack of cross communication between them all meaning that opportunities can be missed. On the flipside, if one company does it all then they might be experts in one area of online marketing as an agency however they might not be so strong with design or tech on another area, leaving your overall campaign lacking as a result. To avoid this it is best to select a company that can prove expertise in all areas, and have a good strong track record of performance in these areas. So what elements do we need to cover in order to select a good online marketing agency? How good are they at website builds? It is worthwhile selecting a partner for your website who is capable. We think that importantly you need to consider what your website should be doing in 5 years time. It is ok building something quick for next month, however the website is probably going to result in just being a cost to you rather than actually assisting your business in anyway because of the lack of strategy. If you are looking to select a good online marketing agency for your business to succeed online then it is worth checking what the company have done over the past few years and how those website have evolved. If they are new to web marketing then they probably have a lot to learn for the future. We think that in order for any business to succeed online it needs to be backed by a company that can prove it is competent not just in building websites but making them succeed online. This is something that should be discussed with a prospective online marketing agency before you continue to ensure they can prove success of previous online businesses they have made, not just websites. Generally if they can show some successful results then you might be confident that they can do the tech, however it might be worth asking who are their team, what are their credentials? If you throw some problems at them how will they handle it? If you have a large budget to spend with an online marketing agency it might be worth hiring and independent consultant who can help you assess the capabilities of the agency before you proceed into any sort of agreement to ensure that the company is able to deliver based on the expertise of the consultant. If you can determine that the company is capable in terms of previous successes and can provide evidence of their capabilities then that covers part one of the online marketing plan. Now we need to know about social, SEO, email campaigns, PPC and other smaller channels for marketing, and eventually how this can all tie into a pr agency to take the content to market in other areas. Online marketing agency, what do they know about SEO ? If you are going to build a website that is designed in anyway to generate revenue or enquiries online then you will need to have an SEO strategy in place. A company will need to figure out what keywords it feels people might use in order to visit their website. If they can show they have worked on projects before with previous successes then this is the best way to see how well a company can perform SEO. If they are able to give you a report of some previous work then you know that they are able to do what they say then can do. If they are unable to produce some solid evidence of SEO work then it is probably because they haven’t had a previous successful SEO campaign and it might be better for you to source another supplier. When looking for an SEO supplier they might baffle you with tech words and long explanations, but it shouldn’t be tricky, the process might be complex but it can be explained simply. If you don’t understand what they are proposing to do then they may not either. You will also need to ask them about the contract terms. Is is worth noting that some online marketing agencies will tie your business into a contract term for SEO but not necessarily provide you with a get out clause if the performance isn’t great which isn’t a good thing. It is worth checking, and in some cases best to find an online marketing agency that will allow you have a rolling monthly contract. If you are happy with the work they are doing then you will want to continue. They will be able to show you the work they have done and so long as things look positive (better rankings than previously) then it worth continuing. How do you know what keywords your online marketing agency should be using for the campaign? It is important that you select the keywords with your chosen SEO partner or online maketing agency, the reason is that if you let them select the keywords then they might select keywords which are too easy. The reason why one keyword is easier than another is because they are based on demand, therefore if you choose keywords that nobody is using then it doesn’t matter how much or little you paid the company to get you onto page one the ranking will not result in any additional revenue or enquiries for your budget. This can be a very inefficient way of running a keyword campaign. Therefore you may need to speak to someone beforehand and ask for the keyword search volumes of the keywords you are trying to target. Once you know the keywords and the volumes behind them you need to look at how competitive they are. If you can find keywords which are relevant to you, have a good amount of search traffic and also have low competition then you know that this is a good keyword to target. It is also worth targeting more than one keyword. If you go after just one keyword this can leave you stuck out in the cold if that campaign fails. You should not be placing all your eggs in one basket when it comes to targeting keywords. Additionally, you should only be targeting the number of keywords you can realistically manage for your keyword budget if you target too many keywords this can overload your campaign and leave you failing on all targeted keywords as not enough time would have been allocated to each keyword. It is not always easy to know how many keywords to target but we would advise that you allocate at least an hour per month per keyword to keep a proper track of its progress and performance. If you need any online marketing agency work done for your company then please do give us a call on 01202 237027. What is important when reporting for my keywords? When you are getting reports for keywords you need to know the important information. some companies or online marketing agency’s will provide you will tons of information about the keywords you are targeting. The problem is that too much information can just cause confusion and you don’t know how to make decisions with an overload of information. You may also need someone to verify the information they are providing you with so that you can ensure they are actually doing a good job if you do not understand what some of the reports mean. So getting to the bones of it, when we look at the important elements of keywords we can determine that the bottom line is how well and where are your keywords ranking? We need to know these things to understand each month if the SEO campaign is doing well. Once we know this we can make a decision about the continuation of the campaign. How long should I run an SEO campaign for and how long should it be before I can decide if the campaign is a success. There is no doubt that every company should be doing SEO every month for the entire life of the company. The question is how long should it take before the company can make further decisions about budget and also assess how well the company is performing that is running the SEO campaign. If you consider the way SEO works nothing ever has an immediate effect therefore it can take time for the campaign to work. If you need to understand at which point the campaign can be considered a success we need to look back at the previous section about the keyword reports. Generally we would recommend that you would run a campaign for a min of 12 months, and that after about 3-6 months you should see positive results. SEO is like trying to get fit for a marathon, you can just train for a couple of months and then win, it takes time and persistence, a lot of it! once you have put in the effort over a long period of time then you know you will see the results you have been looking for. You know that if you stop trying to get fit that you lose progress. It is the same for SEO. You need to do it every month, routinely to see positive results. The other factor that comes into play here is how well your SEO company are doing, as some point you will need to make a decision about if you have selected the right company and if you would like to continue using them. We know that every company says that they are good and capable, but how do we really know? After about 3 months of running the campaign you should be able to see a positive trend of keywords that you might never have ranked with before start to take up positions. Therefore you know that you are moving in the right direction. The speed of this movement in the right direction is now determined more by time and budgets. so long as you can see the campaign moving in the right direction then you know you have an SEO partner that is doing their job well. Just ensure they give you the raw facts when reporting, keyword name, position and search volume. These three things can allow you to see at a quick glance how well your SEO campaign is performing. You may be able to see from this performance how you should adjust budget accordingly. If you are moving in the right direction but not quickly enough then it might be worth increasing your budget so that you allocate more funds to speed up the progression. It might be worth considering to stop the campaign from slipping if progress is slow, this leads to the next point below..
How do I know what my SEO budget should be? If you are trying to work out an SEO budget then you will need to look at where you want to be rather than where you are now. If you want your website to be generating a million in revenue online per annum it is not feasible to work with a budget of £100 a month. This might sound obvious but there are many companies out there that thing that anything can be done online and that it should be generating a huge return. However everything needs to be in proportion. If you want to increase sales revenue by 100k in the first year then we believe you need to look to allocate between 10-20% of resources to that goal. Therefore you would be looking at allocating between 10-20k for the year. This might sound a lot however online takes time and time is expensive, unless you hit something viral which can be more luck then it is a lot of work. But it is the future of market to bear with it… If you take your budget allocated for the year and divide this by 12 we now have a monthly budget which needs to be apportioned to each element. So to determine what money should be spent and where we need to look at where your customers are based. Are they mostly on social media or mostly performing web searches? This is vital that you know this otherwise too much money can be spent in the wrong area. For example if you run a small b2b business then social might not be very advantageous as potential customers just arent looking to source you using this method. You might find that the majority of your customers use search. Therefore again the budget each month will need to be broken up correctly to each marketing channel. If you opt for going with an online marketing agency,u you can ask for a bit of a pick and mix with the areas they are targeting and the budgets allocated. Why is this important? In some cases you might need to switch your marketing around if it is say seasonal then it would be worth checking to see if you can do more of one element than another in a given month, then go back to focusing on another element then next month. Once you have determined all these things you then know how to budget for your online marketing campaign and how much can be allocated to the online marketing agency. What about the other marketing channels? There is a surprising number of companies that don’t collect customer data. They also don’t bother to use this data when they do collect it. This means they are missing out on opportunities. We recommend looking at the opportunities available to you as a company to collect data and to utilise this as much as possible. If people are booking with your business are they doing it online so that you can collect personal information about that business or are they giving enough information for you to be able to keep in touch in the future? If you are running a venue you can be lucky enough to collect information from things such as social wifi. This will allow you to also understand a bit about the demographic of your customers and where they come from. We have another blog about social wifi here. If you need to collect new data then this can be done by ensuring that you have data forms on your website which are able to collect information from your visitors. This is part of conversion which we looked at with seo previously. Email campagins can also be helped by getting external advice from an online marketing agency, this can help move the procces along that little bit quicker which can make a huge difference. If you need to convert visitors to customers on your website it doesn’t matter how good your campaigns might be you need to ensure that when they get to the website, they will take the necessary steps to either buy or enquire. To do this you need to make it easy for the customer. Don’t give them any more information than they need to make an informed decision. Again too much information can result in an overload of information and makes it hard for a user to make decisions as a result. You need to ensure that the information you provide people with is clear and concise and allows them to engage with your business via a call to action. You need run programs such as google analytics so that you can check the user flow to see where uses visit your website and where they go when they get there. You can assess which pages are the most popular and which pages are the least popular, from that you will be able to understand which ones you can improve to give you a better conversion result. And also help with your data collection process. With some companies they use sales CRM systems so it might be worth looking at those to see how they can be utilised in terms of integration so that your customers data is fed directly to these systems for processing. You will also need to understand a bit more about what your visitors want and if their queries are being answered. Therefore it is worth looking at elements that can assist the customer, allowing them to ask more questions or provide more feedback. Tool such as live chat allow you to enable customers to engage with your sales team directly. Therefore helping eliminate any barriers to enquiry. This is something that is valid more so if you have website with a high number of visitors. If you haven’t got a high number of visitors, while conversion is important most of your effort should be spent getting more visitors to the site for the conversion process to even be relevant. Social media can be very time consuming. It needs to be relevant to your brand and it needs to be engaging. 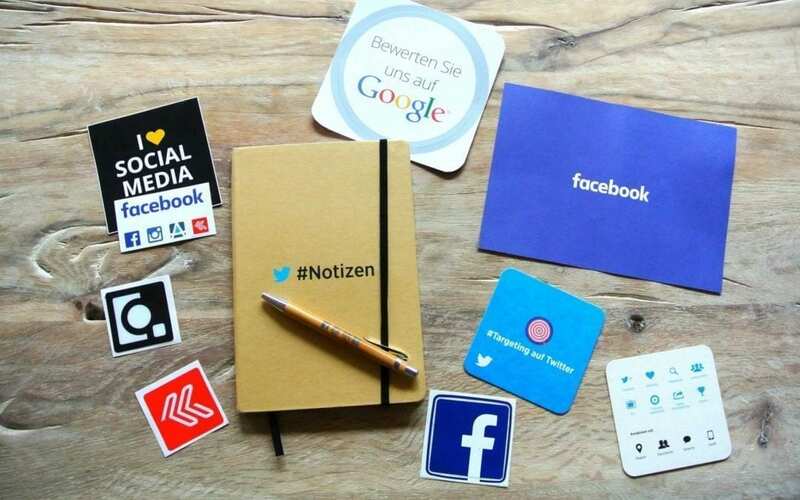 Some of the things you need to consider when running a social media campaigns are: what platforms to use, how to build the audience, how to interact with the audience, how to serve the audience (rather than just sell) and how to use it to your advantage. If you need to select platforms this is similar to selecting marketing channels, you might know that your audience use social media, but you might not know which social media channels they use. Therefore it is worth checking the demographics of the audience to see if they are more active on a particular platform. For example if, you are trying to target an older generation it is no good trying to use snap chat as few people of this generation have adopted this platform. It would be better to target them on Facebook. If you want to target someone who is middle aged then it is worth considering platforms such as facebook and Instagram. and if you want to target the younger generation then snap chat might be a better option. With all these platforms it is good to put your effort into multiple platforms but just cut out the ones you don’t need. For instance with twitter you might have spent years building your profile on this platform only for numbers to decline and the efforts be lost. If you post good quality to content (and we recommend to your own website blog) then this will enable you to switch around in future depending on the popularities of a platform. It is also quite obvious that if your product is visual or lifestyle based an ideally not geographically restricted then you can use something like Instagram to increase exposure, whereas if you are selling something not tangible then something like Instagram would be relatively useless so deciding on where time should be spent on social is crucial. One solution to producing good content that gets customers talking is to get an online marketing agency to adivse and help you with the whole process, this ensures that you are doing the right things. if you are marketing your business online then you need to be generating good content, either you or an online marketing agency should be creating content, marketing doesn’t work without it. You might be generating content for social media or blogs, but why are you generating it, what does it do? People are now quite resistant to taking things at face value, they need to see evidence of something you say is what you say it is. Therefore content is key for building a method for marketing full stop. You need to look at what content you produce, why you produce it, and where you will publish that content, and how that integrates with your marketing campaign. If you are doing something for social would you write a long blog or just do a short animated video which is must more enjoyable? It is crucial to think about how your market likes to consume its content and therefore helping you decide which sort of content should be produced in the first place. This will help with all areas of marketing. We suggest that as a business you select a marketing focus for the month and then produce content around that single focus, that will help convert customers faster than hitting them with many different messages, all of which might have less impact. So how do you know which sort of content to produce? If you are selling via something like social media then video content is ideal because people tend to use it when they are more relaxed and video is easy to consume. Plus considering there is so much other content on there it be competitive trying to stand out from the crowd. If you are selling using SEO then it might be worth checking that the content you produce is tailored towards the search engines, so content based on text, images and video would be better so that they can understand what they are indexing. It is worth speaking to a consultant about content generation to help you decide what content to generate. It will be a mix of what your business does, is doing, is going to do and also founded on the keyword research you have performed. For example if you have identified a great keyword that would benefit your business then you will need to create content that targets this keyword. This can be a complex process so it is worth checking with a consultant or online marketing agency so that time is not wasted producing expensive content that is of no use. All of the points we have discussed above contribute to the marketing of your business online as a whole but you should still have a planned/written strategy behind it so that you know where you are going. It can be used as map to help you determine what to do next, making future decisions about your marketing will depend on the marketing you have done so far and will need to be tailored to suit. It is nearly impossible to write a marketing strategy that will be perfect for the next 12 months, you will need to tailor and adapt it based on the way customers are reacting to your current marketing. You should also not over complicate the strategy because it might need to change, only work with the fundamentals to ensure that you can build it as you go. By identifying your monthly marketing focus, and selecting the channels you need then this sets out a good foundation for your strategy. Some business might know what their strategy should be without speaking to a consultant or online marketing agency, and some might need so external advice for an online marketing agency to point them in the right direction. Keyword Density: What is the Best Keyword Ratio for SEO? Keyword Placement: Where Do Keywords Go in SEO Content? Join our mailing list to get free digital marketing tips to your inbox.